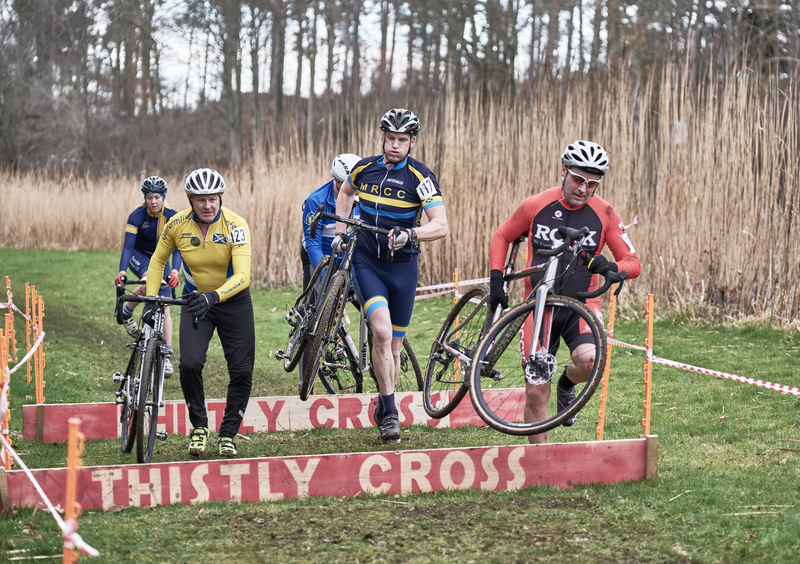 More than 200 cyclocross enthusiasts from Scotland and the north of England took part in the annual ‘Thistly Cross Cyclocross’ competition at Winton Castle in mid-January. 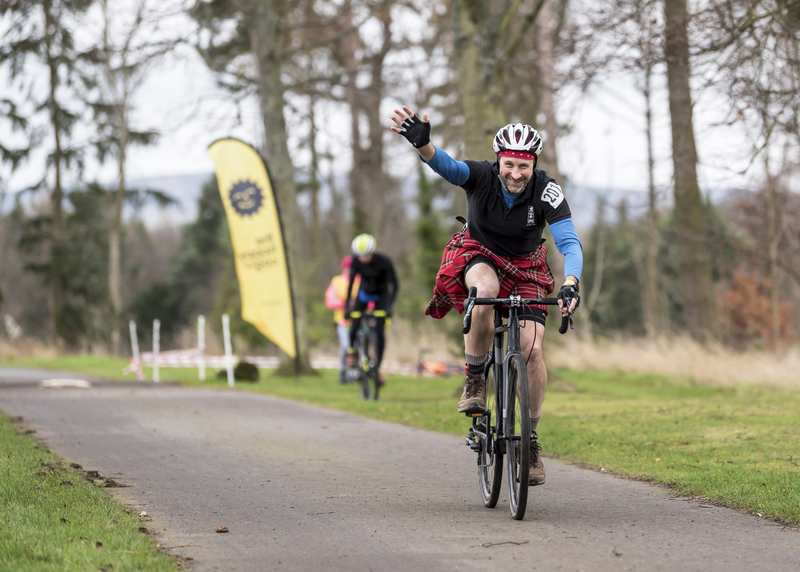 The exclusive use events venue in East Lothian was delighted to host the 4th round of the Scottish Super Quaich Series which had been organised by the local, Haddington Cycle Club. It had taken some time to find a suitable venue for the event but, with a huge team effort, it worked really well at Winton. Originally from Belgium, cyclocross is an increasingly popular sport. The Thistly Cross Cyclocross attracted participants of all abilities aged from 16 to over 60, with one rider actually celebrating his 60th birthday on his bike! The participants were allocated to A or B Races, a format which allows those with the same relative fitness to race against each other. Winton opened up parts of the private gardens round the castle for the new 2.6 km course which cyclists raced round as many times as they could in an hour. Points were awarded to the first 100 riders so that a quaich could be awarded to the top man and woman at the end of the series after the 5th and final round. Francis Ogilvy and his team at Winton Estate, Toby, Douglas, Bede and Janis, were helped to prepare the course by some 40 cyclocross enthusiasts who pulled out all the stops to ensure it was ready in time. The route ran past the castle and loch, along estate roads and through woods. The course would also be used by Winton’s fleet of new quad bikes and, possibly, for private mountain biking events as well. “To host the event with so many first class riders was a privilege,” says Francis Ogilvy. “It was a big shot in the arm to find the likes of Gary MacDonald considering it worth driving all the way from Fort William in order to win it – favouring this over the British Championships is and credit to those who organised the event and designed the course. 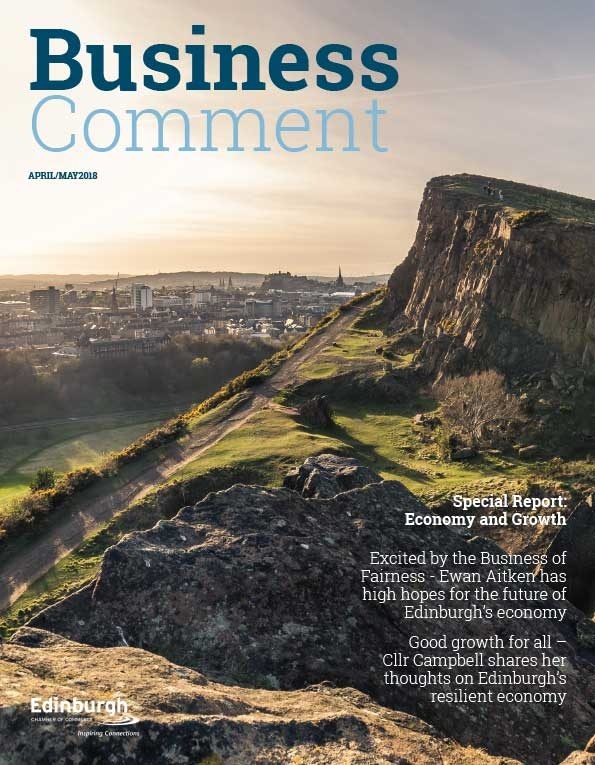 “The circuit includes a great blend of technical difficulties, challenges, respites and points of interest,” say the organisers from the Haddington Cycle Club. “There are big off-camber descents followed by steep climbs then respites. 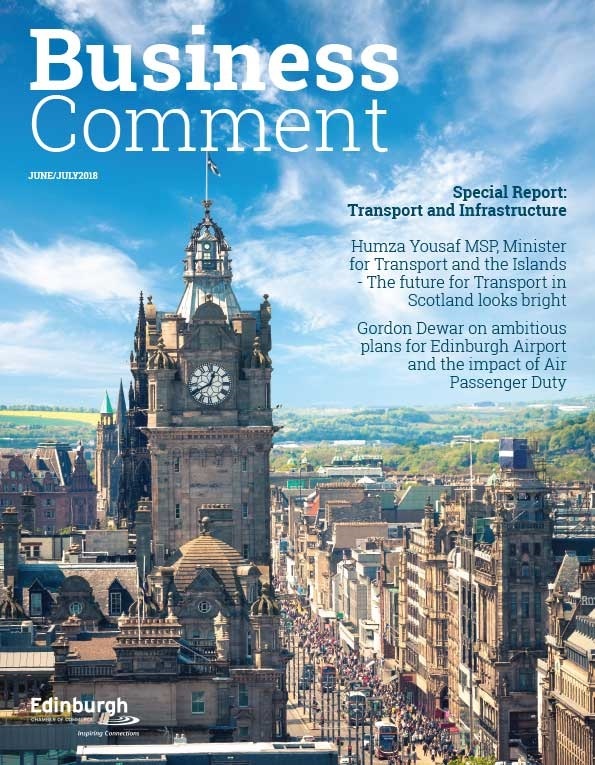 The route includes a great mix of ditches, run-ups for carrying bikes up and even a couple of 12-inch hurdles for experienced riders to bunny-hop! The technical features reward the best cyclists and provide challenges for less experienced ones. “We took care to design the course so that it was also a good experience for spectators. “Winton provides a fabulous venue; with the castle as a backdrop, it’s very picturesque and the Winton team were brilliant to work with, going above and beyond. “We hope that the event will become an annual fixture with Winton becoming the long term host. That would allow us to look for improvements and work on the course every year. “Everybody at Winton pulled out all the stops to ensure that the event could go ahead, giving us access to private grounds that we wouldn’t normally be able to race on, putting in new trails, providing the event infrastructure and equipment. 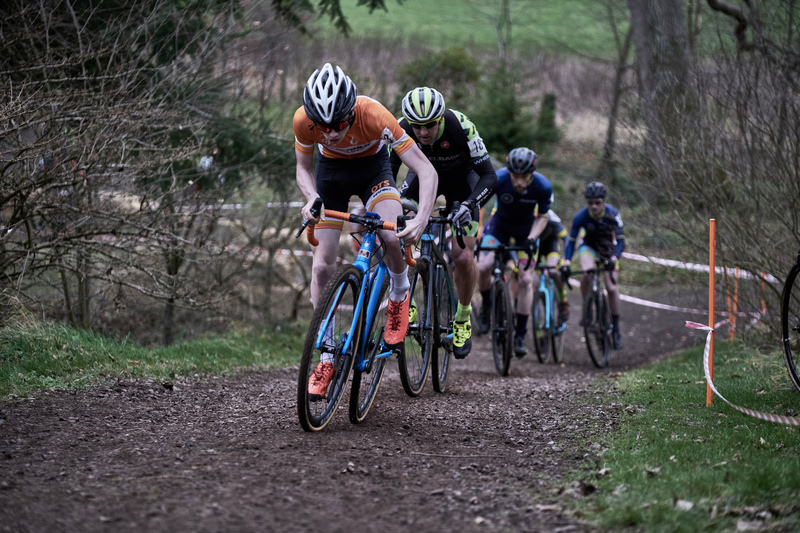 Comments on Facebook sum up how much the cyclists enjoyed the course: ‘Brilliant venue loved it;’ ‘Course was awesome;’ ‘Course, venue, organisation all brilliant;’ ‘Brutal, technical, challenging – definitely great fun…oh yes. Well done to all the folks who put it on and helped out on the day’. As a venue for private and corporate events, Winton can organise quad biking, cyclocross, clay pigeon shooting and highland games, amongst many other entertaining tailored activities.